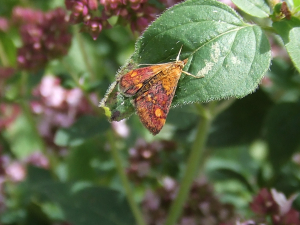 Observation - Brown and Yellow moth - UK and Ireland. Description: My daughter photographed this day flying moth. It has beautiful yellow markings. My daughter photographed this day flying moth. It has beautiful yellow markings.